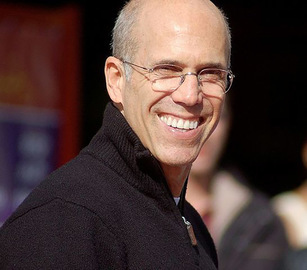 Jeffrey Katzenberg is a businessman, film studio executive, and film producer. He became well known for his tenure as chairman of Walt Disney Studios from 1984 to 1994, during which the studio reinvigorated its live-action and animation divisions, as well as producing some of its biggest hits, including The Little Mermaid (1989), Beauty and the Beast (1991), Aladdin (1992), and The Lion King (1994). After departing Disney, he was a co-founder and CEO of DreamWorks Animation, where he oversaw the production of such animated franchises as Shrek, Madagascar, Kung Fu Panda, Monsters VS Aliens, and How to Train Your Dragon. He has since founded a new media and technology company called WndrCo.